In October of 1998, Hurricane Mitch, the strongest storm of the 1998 Atlantic hurricane season devastated the country of Honduras killing over 7000 people, leaving 1.5 million people homeless, and caused an estimated 2 billion dollars in damage. The President of Honduras said the storm set the country back 50 years in economic development. Because of that storm, for the past 17 years, Rotary district 7870 partnered with a small Rotary club in Danli, Honduras to provide humanitarian aid by sending teams to provide various services. 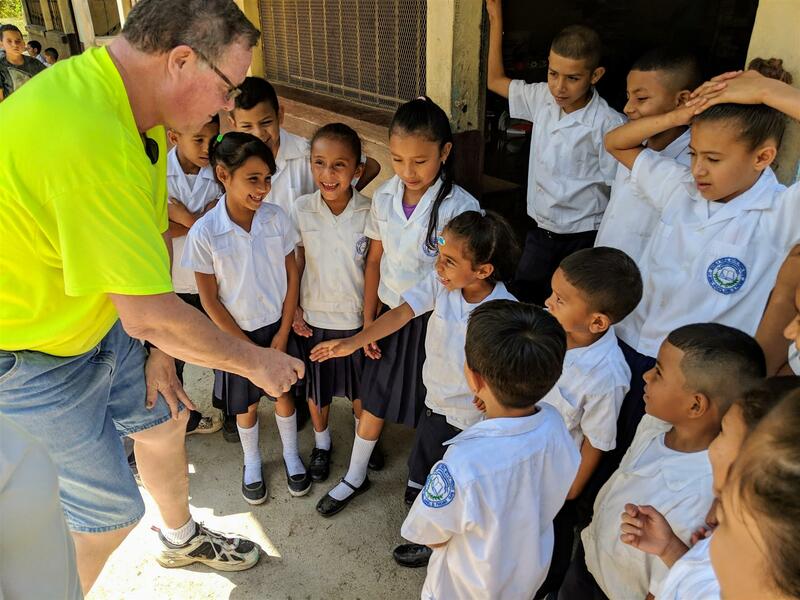 This year, Dena and Dave Ament and Dave Lawrence from Lancaster Sunrise joined eighteen others and traveled to Honduras. This project, named Amigos De Honduras has constructed eight schools, expanded 3 schools, converted 2 buildings into schools, painted and repaired 18 schools and worked on a youth center. They also have repaired hospitals and constructed a dental clinic. They have served an estimated 27,000 people with 23 medical and dental missions. Finally, they have installed more than 11,000 water filters. We had three projects for the week. We painted the interior and exterior of a new elementary school in a remote village. That cement block school was constructed from Rotary funds in the last 8 months. We also installed electrical work. At another school our teams installed a portable water filter system, so the students could finally access to clean water. They were drinking contaminated well water. Also, for five days we had a medical and dental team at various locations about an hours drive from Danli.